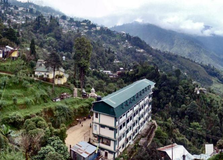 Find below the list of top CBSE schools in Dilaram - Darjeeling with phone number, address, 360° School tours, 2018-19 Admission forms & Fees, photos, facilities & more. 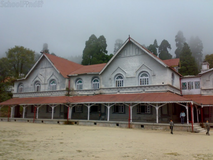 Dow Hill School is located in Kurseong, Darjeeling. It was established in 1879. This school follows the ICSE board. The school has English medium. 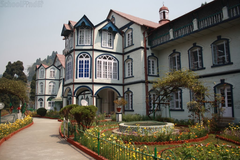 Victoria Boys' School is located in Kurseong, Darjeeling. It was established in 1879. This school follows the ICSE board. The school has English medium. The Foundations Stone of St. Helen's Secondary Boarding School was laid in April, 1890. The School began with Twelve Boarders on 15th April.And today, 116 years since its inception, St. Helen's Secondary School stands in all its glory, determined to maintain its glorious tradition. 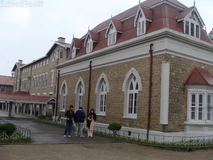 Jnaneshwar Memorial Academy is located in Kurseong, Darjeeling. follows the ICSE board. The school has English medium. You and your child deserve to be looking only at the top CBSE schools in Dilaram - Darjeeling. 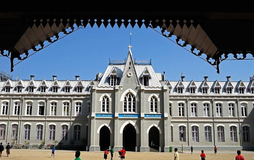 We at Sqoolz, have created an all-encompassing list of best CBSE schools in Dilaram - Darjeeling so that you can pick the one that is most suitable for your needs. Is the location viable? Is the school big enough? What additional facilities do they provide? Find answers to all the important questions with us. You can even take our virtual tour and see for yourself whether or not the school fits your child's needs.